Welcome back. Tell me. Is everything feeling sort of same old, same old? I’m sorry. Hey, I came across something you may want to try. It might rekindle the joy of first-time experiences, before those experiences become way too familiar. 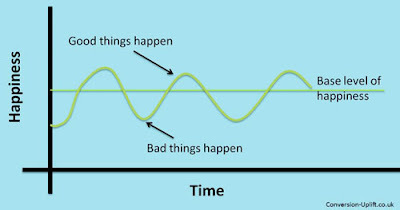 Psychologists refer to the tendency to return to our relatively stable level of happiness after major positive or negative events or life changes as hedonic adaptation or the hedonic treadmill. Researchers from the University of Missouri and University of California, Riverside, posed two reasons for hedonic adaptation in a study published in 2012. The first involves bottom-up processes: Emotions generated by the positive change decline, and happiness can’t be sustained. You buy a new car, but it doesn’t take long before you hardly notice the new car features you thought were so cool. The other reason happiness ebbs involves top-down processes: Increased aspirations for more positivity. Your new, higher paying job is your new normal, and now you want more. That study also laid out two approaches to moderate the hedonic adaption processes--continued appreciation of the life change and continued variety in change-related experiences. A 2018 study by researchers from The University of Chicago and The Ohio State University expanded on those approaches. They tested ways to continue appreciating things, preventing them from being taken for granted, by continuing the variety. Their focus was consuming familiar things. In one experiment, 68 participants ate popcorn equally fast, yet half of the participants dined with fingers in the usual way and half used chopsticks. Those who ate popcorn in the different way, using chopsticks, paid more attention to the popcorn and enjoyed it more than those who used their fingers. For another experiment, 300 participants took five sips of water. One hundred of the participants sipped in the usual way; 100 sipped using an unconventional method they had come up with (e.g., out of a martini glass or lapping like a cat); and 100 sipped using a different unconventional method for each of the five sips. Participants who sipped water using a different method for each sip enjoyed their water the most, and their enjoyment remained constant for the five sips. While those who sipped water the other two ways enjoyed it less, the enjoyment of those who used unconventional methods also held steady for the five sips. 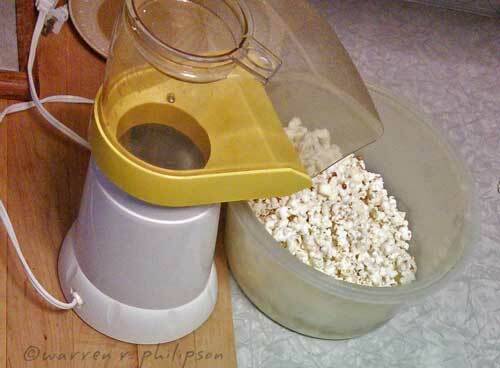 The study demonstrated that adopting new and unconventional ways to interact with things--even things as common as popcorn and water--invites a first-time perspective.